Simplified and removable backup for micro or small businesses at an affordable price. Fast backup and restore: Backup data at fast hard drive speeds (up to 108 GB/hr) and restore critical files in seconds instead of hours with random disk access. Fast data access: Up to 108 GB/hr transfer rate, random access file retrieval. Simple protection: The HP RDX Removable Disk Cartridge supports drag and drop file access, making backup as simple and convenient as the click of a mouse. Scheduled backups can be performed through “out of the box” support for leading backup software. 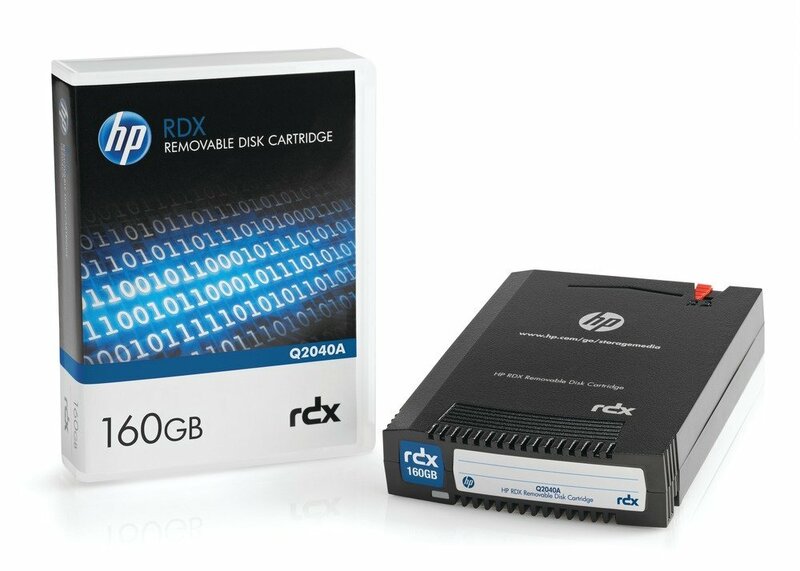 Affordable cost of ownership: Reduce on-going media and upgrade costs with disk cartridges designed for long usage life and HP RDX docking stations that are compatible with existing as well as future higher capacity removable cartridges. Simple and secure off site storage: Rugged, portable and durable removable disk cartridges enable business critical backup data to be simply and securely taken off site for disaster recovery, archive or data transfer. Reliability and archivability: RDX cartridges specified for over 5,000 load and unloads and long life expectancy. Robustness: Cartridges are tested to withstand a drop of 3 feet/1 meter without any damage to the cartridge or data. Broad compatibility with a wide range of servers, operating systems, and backup software: Suits almost every small business operating environment. Support tools: HP StorageWorks Library and Tape Tools (LT&T) is available as a download with the system to make installation, performance tuning and trouble-shooting even easier.